A very interesting day at the river with Dewi Morris, Emyr Jones and the Llanfyllin High School Sixth Form. 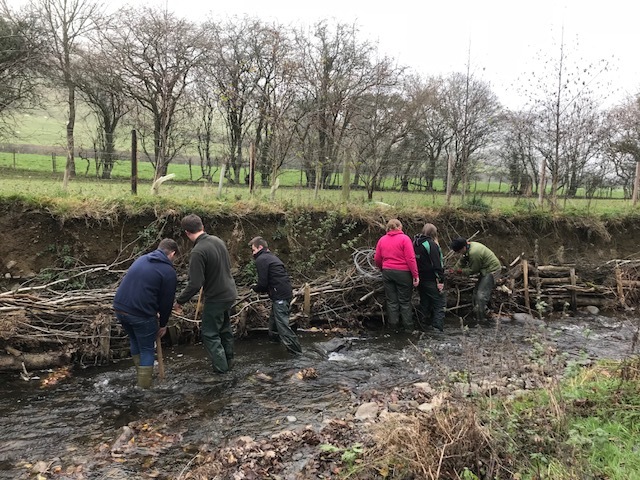 Today we learnt how to make ‘soft river revetments’ using bundles of brash, galvanized wire and sweet chestnut stakes. 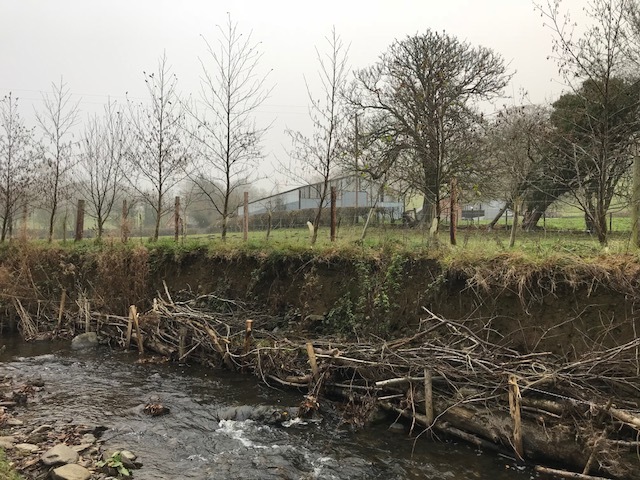 This low tech, low cost solution to improving degraded and eroding river banks has multiple benefits including enhancing habitat for biodiversity. The bundles of brash are laid along the eroding river bank and secured into position using sweet chestnut stakes. Galvanized wire is then tied from stake to stake over the brash, this allows the brash to move a little with the flow of the water, because if they were rigid the would just be washed away. Nettles growing up from previous years brash demonstrates the success of the soft revetment on the river bank. A ‘Hole’ lot of good. The force of the water is dispersed by the woven structure of the brash, all the little holes slow the water down as it passes by, therefore reducing the force of the flow against the vulnerable river bank. These holes are also perfect habitat for river wildlife such as insects their larvae and small fry (baby fish). Sediment carried in the water drops and is caught within these holes in the brash and this begins to rebuild the soil. Seeds of riparian plants then sow themselves in the captured soil and as they grow, their roots help stabilize the river bank. Natural Resources Wales have reported that Nant Alan is a prime Salmon and Trout breeding river, therefore, using biodiversity friendly and enhancing techniques such as this ensures the health of the river and the wildlife within it. 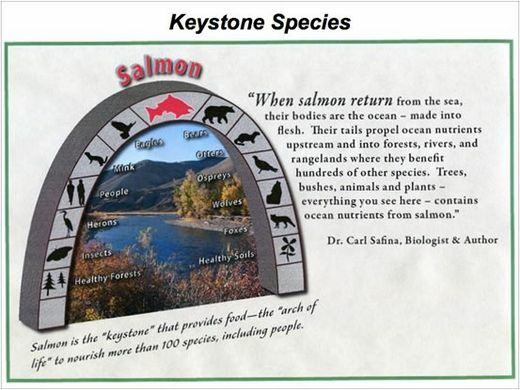 As Salmon are a keystone species, they play a critical role in maintaining the heath and structure of the river ecosystem by supporting the life of many other living things, the effect the salmon run has on the ecosystem is enormous as they have a positive impact for plants, animals and humans in both coastal and freshwater habitats. Today’s work with the river and is inhabitants reminds me that small events can have large, widespread consequences, and that this can be positive or negative. I am also strongly reminded it is important to remember that ‘everything is connected’ and to consider what affect our impact will have on the local and global earth community.